She attended Galena Township Elementary School and later Rolling Prairie High School. During Mary’s senior year, Rolling Prairie consolidated with New Carlisle High School forming New Prairie High School from which Mary graduated in 1969. 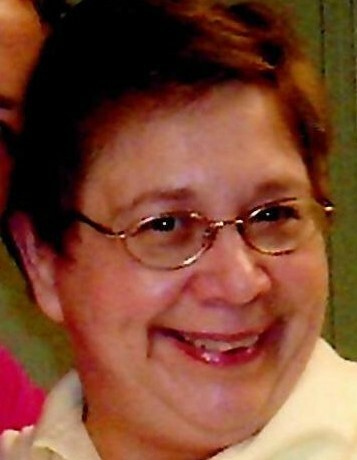 Mary began teaching English at Northwestern High School in 1973 and continued teaching there until her retirement on June 6, 2011. Mary contributed to the life of Northwestern in many ways during her career at various times serving as sponsor of the sophomore class, the junior class, the school newspaper, the Sunshine Club, the pep club and the cheerleaders. She also provided leadership as an Academic Coach, winning the area division in mathematics. In 1997, Mary was recognized as Teacher of Year at Northwestern. In addition, Mary received the Golden Apple Award from the Kokomo Tribune. She was also picked by Indiana All State students as their all-star influential teacher. Mary had numerous hobbies throughout her life, including reading, gardening, and fishing. She journeyed to Murphy, North Carolina, on more than one occasion to take fly fishing lessons and fish the Hiawassee River with “Henry” her flyrod, named after the American author Henry David Thoreau. She also participated in Murder-mystery weekends at Huntington Hall Bed and Breakfast. In addition to visiting 49 of the fifty United States, Mary wandered the world internationally, enjoying time spent in Canada, Costa Rica, Belize, Australia, Spain, Portugal Thailand, Malaysia, and many other countries. Mary loved visiting little-known spots and delighted in recounting her adventures to friends, be it an elephant ride in Malaysia or a tour of Nova Scotia in the sidecar of a motorcycle. From the time she spent dressing and babying Tom, the stray kitten who adopted her when she was a child, to the recent moments she sought out Fiesta ware dishes for dear Eleanor, Mary loved her pets. She had several wonderful cat companions in her life, but none as special as her lovely Louise and her elegant and energetic Eleanor. She donated generously to the Humane Society of Kokomo and was excited to see the completion of the new Humane Society facilities. She made a special effort to support Shelby’s Second Chance Fund which provides necessary surgery and medical care to animals so they will be ready for future adoption. Funeral services for Mary will be held at 5:30 p.m. on Thursday, April 11, 2019, at Shirley & Stout Funeral Home, 1315 W. Lincoln Rd., Kokomo, with Pastor Brian Cook officiating. An informal gathering and visitation will be held at the funeral home from 4:00 to 5:30 p.m. on Thursday. Interment will take place in Pine Grove Cemetery, New Buffalo, Michigan at 11 a.m. on Friday. Memorial contributions may be made to the Kokomo Humane Society, Shelby’s Second Chance Fund. Messages of condolence can be left online at www.shirleyandstout.com.